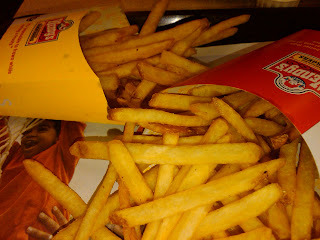 After a very busy week, I finally got around to trying Wendy's new French fries this weekend. The Bride and I checked out the Mount Laurel Wendy's on Route 73, the same one we tried for the old fries a few weeks back (but posted yesterday). I was surprised to see all the promo material for the fries already up. I had visited Wendy's more than a few times in the last couple weeks and had seen no evidence that there was even a change in the wind, especially not in the TV commercials currently pushing the new dollar menu. 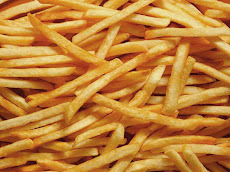 One might think new fries would be big news. Finally it was here inside the restaurant. At the counter we were greeted by a gentleman, a real charmer, perhaps new, who wasn't the most pleasant person, I'm sad to say. I'm sure he'll learn. I got the number one, which was a Single Combo, not always the best choice for me as I like my burgers plain and sometimes the employees can't grasp that concept. It worked out fine this time. Between The Bride and me, we had a large and a small order of Wendy's new fries. These were, as advertised, natural cuts, but with a distinctive shape. At first glance they appeared similar to the old fries, but closer inspection proved them flatter, almost like miniature steak fries. 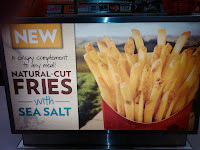 The signage proclaimed 'with sea salt,' which I looked forward to, but I barely tasted it. The bottom line is that yes, these new fries are very good, and would even be better if they were a bit crispier… but Wendy's old fries are still superior to them. Speaking of the salt, an odd fiasco happened while we sat eating the new fries and watching Michael Vick and the Eagles tear up the Giants. A woman with a service dog got into it with our friendly counterperson about the fries. She wanted fries without salt and he pretty much refused to drop a new batch. From what I heard he was insisting that he could refry them and the salt would burn off. I don't think the woman fell for it, but I couldn't be sure as Vick scored again for the Eagles. But back to the fries… One area unfortunately where Wendy's new fries definitely fail is in the Frosty dipping department. This is vital, and a major reason to go to Wendy's (at least for me) over other fast food places. 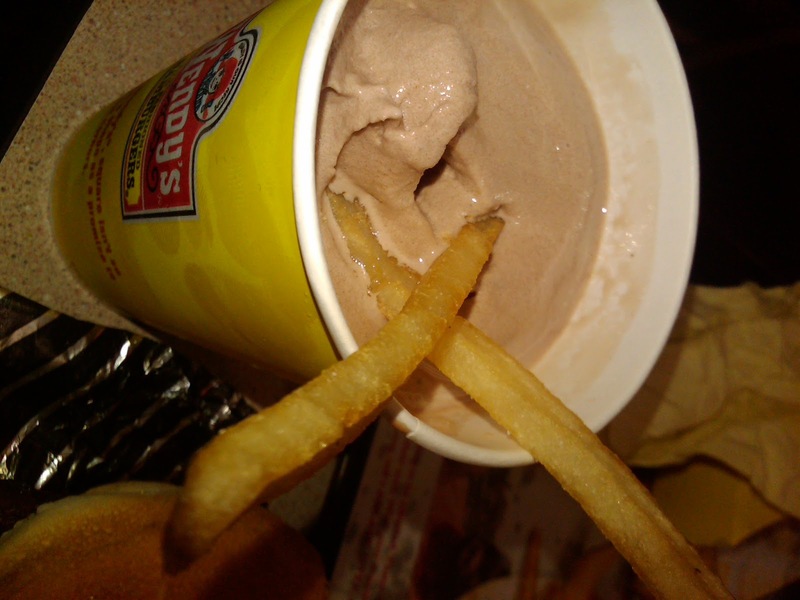 These new fries are so thin/flat that they break or bend when you dip them into the thick goodness of the Frosty. Dipping is no longer an option. This is not a good thing. I also ordered a small order of the new fries for the road. Hot and crispy and good for car-munching on the way home, but alas, once home - these fries did not reheat well in either microwave or conventional oven. For the record, the old ones did, just like their burgers and chicken nuggets still do. Final verdict - these new fries are good, but not as good as the old ones. Extra points come off for the Frosty problem. Perhaps Wendy's might decide to offer both kinds of fries? That would be a good solution.